Home \ Healthy Living \ Health, Well-Being & Fitness \ I Can Do It, You Can Do It! I Can Do It, You Can Do It is a mentoring program for adults with disabilities that encourages regular physical activity and healthy eating behaviors. 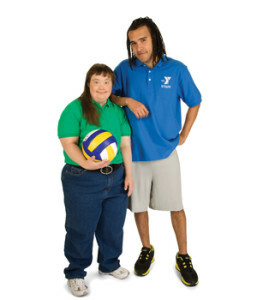 The I Can Do It program is being implemented at the Danville Family YMCA. The goal of the program is to improve overall health and wellness by increasing or maintaining participation in physical activity, promote participation in new physical activities and encourage the establishment of weekly healthy eating goals.